WHAT ELSE IS NEW? : Among the renovations completed over the summer was a remodeling of the field house. Other renovations were completed in the IMC, and steps were taken to improve South’s energy efficiency. 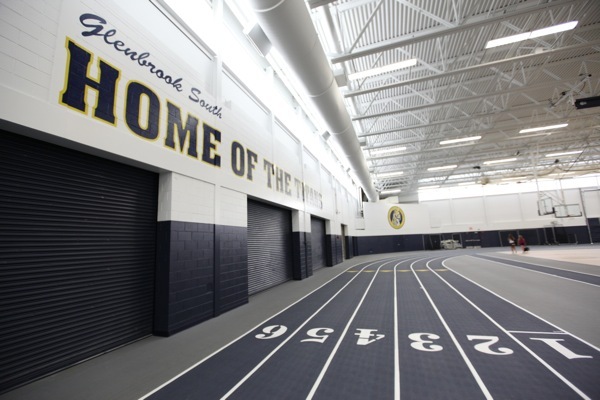 During summer 2011, $7.3 million worth of renovations were divided between the Glenbrook Schools, $3.5 million of which took place at South. According to Hillarie Siena, assistant superintendent for business affairs for Glenbrook 225, a $94 million referendum was issued to Glenbrook Schools in November 2006 to provide funding for academic, athletic and activity programs, restructuring existing debt and improving Glenbrook School facilities. Siena noted that the money for the referendum came from an approximate $120 tax increase per Glenview and Northbrook household, based on a home with an average market value of $548,472. “[South students] are enjoying a rich curriculum today which would have been different had we not passed that referendum,” Principal Brian Wegley said. According to Kimberly Ptak, director of operations and purchasing for Glenbrook 225, the district originally intended to reserve the remaining $10 million on the Life Safety Report that mandates schools bring their building up to code. Life Safety renovations, according to Ptak, included carpet replacement, field house renovations, resurfacing of tennis courts and replacement of guardrails in the auditorium and main gym. “Would [replacing the auditorium railings] be on my list of things to do? Not at all. But the code says the railing has to be so many inches apart,” Assistant Principal Gary Freund said. contained asbestos. Freund clarified that asbestos only presents a health hazard when disturbed, which is why the space needed to be contained when the carpet was being disposed of. Freund highlights the fact that most renovations are unseen by students and faculty because they are mechanical or hidden behind walls, such as new air-handling units. According to Ptak, three new systems were installed in the auditorium for $455,000. Freund justifies the cost with the high efficiency of the new machines in place of 30 to 40 year old machines that were ‘just sucking up energy’. Stephen Stanicek, Instructional Supervisor of the Physical Education Department sees the new lighting system in the renovated field house as not only energy efficient, but cosmetically attractive. Ptak noted that the new flooring cost $375,000, the paint job cost $60,000, and the curtain replacement cost $24,000. Stanicek highlighted other new additions including agility markers painted on the floor to supplement fitness days, a brick wall covering mechanics on the Northeast and Southeast walls, and a Titan logo designed by Stanicek’s brother, Jon Staniceck. “The field house was part of the evolution of just keeping things up to date, like much of the carpet in the building, there’s a time in which it wears out,” Wegley said. According to Christi Shaner, head librarian, plans to revamp the library were in place before she was hired in 2009. Shaner designed the library additions in collaboration with Acron Associates, an architectural firm that has been working with the Glenbrooks since 1992. According to Ptak the newly revamped library was on a $170,000 budget. Freund clarified that the funds were not funded from the 2006 referendum but from South’s building budget that is spent on a new project each year. “It was worth spending that much money because now kids who weren’t going to the library very often are filling the spaces in these cubicles,” said sophomore Daniel Ahn. Shaner notes the divided desks, comfy chairs, and circular booths as some of the highlights of the renovations. According to Ptak, there is $2.7 million left in the 2006 referendum funds that will be spent on renovations at the Glenbrooks in the next two summers, including Life Safety renovations at Glenbrook North. and July included asbestos abatement because the original tiles beneath the carpet contained asbestos. Freund clarified that asbestos only presents a health hazard when disturbed, which is why the space needed to be contained when the carpet was being disposed of. 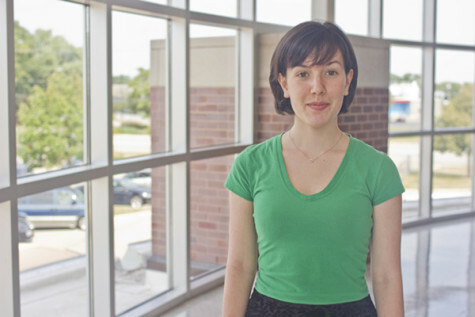 According to Christi Shaner, head librarian, plans to revamp the IMC were in place before she was hired in 2009. Shaner designed the IMC additions in collaboration with Acron Associates, an architectural firm that has been working with the Glenbrooks since 1992. According to Ptak the newly revamped IMC was on a $170,000 budget. Freund clarified that the funds were not funded from the 2006 referendum but from South’s building budget that is spent on a new project each year.